Church of Hope has been running six-month ministry training courses in Sydney to equip and empower Christians for the work of the ministry and to prepare pastors for the expanding work in Sydney and Melbourne. Below is a suggested format for establishing a Ministry Training School in a local church setting or in a more formal Bible College Setting. Given the time in history that we live in, it is imperarative that all believers are equipped and empowered for the work of the ministry. At present there is a harvest of lost souls that need to come to Christ. There is great scope for having different course syllabuses. In Sydney we use the following six-month training course structure (click here to view) in conjuction with our ministry training manuals which can be downloaded from either the Evangelism Training page or Downloads page. It is hoped that these training materials will be a great blessing for many pastors and churches and will help them to see their local communities won to Christ. The following format has been put together to give some guidelines to Pastors as to how they could commence a bible training school in their own local church, or establish a Bible Training Centre in their region. It is hoped that these guidelines will be helpful for many pastors. 1) Download the Pastors Workshops Guidelines Manual from the Church of Hope web site. "CLICK HERE"
2) Go through this manual to gain an overview of the course materials (syllabus) to be covered in a Bible Training Course. Read and become familiar with the Pastors Workshops Guidelines Manual including topic number eight which has a suggested six-month course outline. To view this suggested six-month course outline click "HERE". All those intending to run Bible Training courses are free to structure their syllabuses in whatever way they believe best for their students. 3) Download the Ministry Training Manual and the Leadership and Discipleship Excerpts Manual (for diploma courses) and the Discipleship Manual (for certificate courses) from the Downloads page of the Church of Hope web site to become familiar with them. These three manuals can be downloaded from the Downloads page of our Web Site by clicking "HERE". 4) It is important that the founder of a new Bible College has a good knowledge of the Pastors Workshop Guidelines Manual and is familiar with the teaching topics and materials which should be included in a Bible College Certificate or Diploma course. The Six-Month Evangelism Training Course outline in topic eight in the Pastors Workshop Guidelines Manual, has a good balance and depth of topics which should be covered in every Ministry Training course. 6) It is important to invest one week in training up all the teachers who will be teaching in the Bible College or Ministry Training School. During this week the Founder of the Bible College can go systematically through the Pastors Workshops Guidelines Manuals including covering all of the suggested readings from the ministry training and Leadership and Discipleship Excerpts manuals. 7) This week of training for all the teachers and leaders in the Bible College will also help them to embrace the vision for the Bible College and to develop unity between the team members. 8) After going through the first seven topics in the Pastors Workshop Guidelines manual, the Bible College Leader or Leadership team can then work out a structured course or courses to run for those (students) who they will be teaching and training up. These Ministry Training Courses can be run, either in a local church setting, or in a Bible College setting. 9) In a Bible College setting a number of different courses could be offered to meet the needs of those who have a desire for formal Bible College training. 11) One way of establishing a new Bible College would be to share about the courses that the new Bible College will be offering with a number of local churches. The first step would be to approach a number of local church pastors to organize times to share with the members of their churches about the courses that will be available at the new Bible College. 12) At these meetings people would also be given the opportunity of enrolling in the Bible College courses. 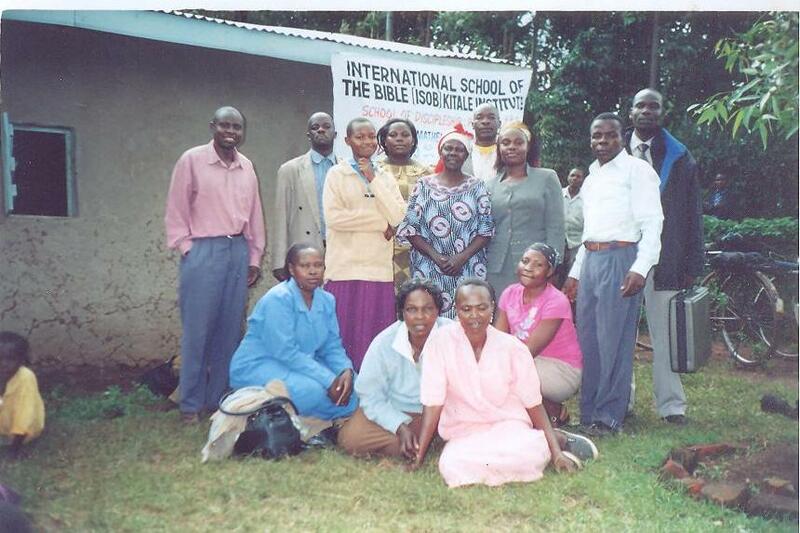 It is important that ideally all Bible Colleges would be inter-denominational. 13) At these meetings the founder or leaders of the Bible College can also share about the Bible College courses available, including what is contained in the course syllabuses. Some of those in these churches may want to be equipped for full time ministry, whilst some may just want to study so as to become more effective in witnessing and ministering in their work places. 14) Every Bible College is free to structure their own courses in terms of the teachings to be included, but ideally it would be good if all the suggested topics that are covered in the Six Month Evangelism Training Course in topic eight of the Pastors Workshop Guidelines are included as a part of the course syllabus. 15) Extra teachings from the Discipleship Manual and Leadership Manual can also be included in the course syllabuses. These two manuals can be downloaded from the Downloads page of our Web Site by clicking "HERE". 16) After completing a Bible College course each student should be given a certificate and a transcript of all the topics which were covered in the Bible College Course that they completed. 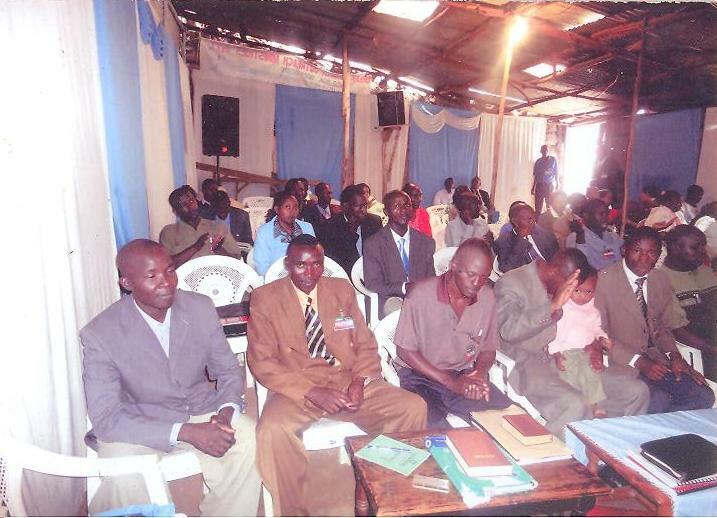 18) For those living in Africa who are looking at establishing a Bible College, it is possible to learn more about the practical aspects of starting a new Bible College by contacting Bishop Geoffrey from the Kitale Bible College (see contact details below) who has successfully opened a number of Bible College Study Groups in Kenya and Tanzania. He has a real heart to help others to establish kBible Training Centres throughout Africa. 19) ALL BIBLE COLLEGES USING THE CHURCH OF HOPE TRAINING MATERIALS ARE FREE TO ISSUE GRADUATION CERTIFICATES IN THEIR OWN NAME. If however any Bible College wishes to issue Church of Hope certificates, they would need to be accountable to Church of Hope. Church of Hope fully appreciates the importance of ensuring that all Bible College teachers are suitably qualified and equipped to run bible colleges and that all Bible College training courses need to be run in a correct manner with integrity. In the book of James we read, "My brethren, let not many of you become teachers, knowing that we shall receive a stricter judgment." (James 3:1) Church of Hope is well aware of the great privilege but responsibility associated with training up Christians for the work of the ministry. 21) To run a one-week Pastors Workshop in Africa, or for those in Africa who wish to know more about the Church of Hope ministry training materials, you can call Bishop Benson from Nairobi on +254 725277915 or email him on pastorbensonmann@yahoo.com Alternatively, you can contact Pastor Conrad Fenton at his email address churchofhope@hotmail.com or you can call him on +61 413 483 858. FOR ALL OTHER PEOPLE WISHING TO KNOW MORE ABOUT CHURCH OF HOPE'S ONE-WEEK PASTORS WORKSHOPS OR OUR TRAINING MANUALS, PLEASE EMAIL PASTOR CONRAD FENTON DIRECTLY ON HAS EMAIL ADDRESS ABOVE. 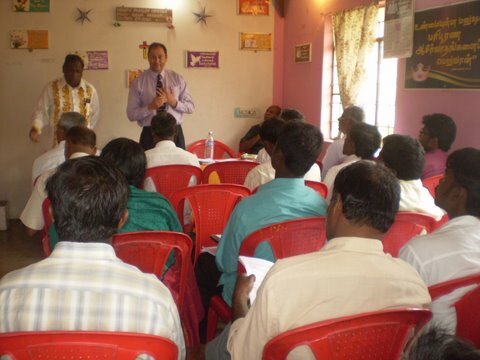 22) All One-week Pastors Workshops run by Church of Hope are also designed to help prepare and equip those attending these workshops to be able to establish new Bible Colleges in Africa or India or elsewhere. 24) Finally it is important for all those who are establishing formal Bible Training Colleges to comply with any Government Requirements and Regulations that relate to Academic Institutions. The Bible makes it clear that we must all "be subject to the governing authorities" (Romans 13:1) as "the authorities that exist are appointed by God."